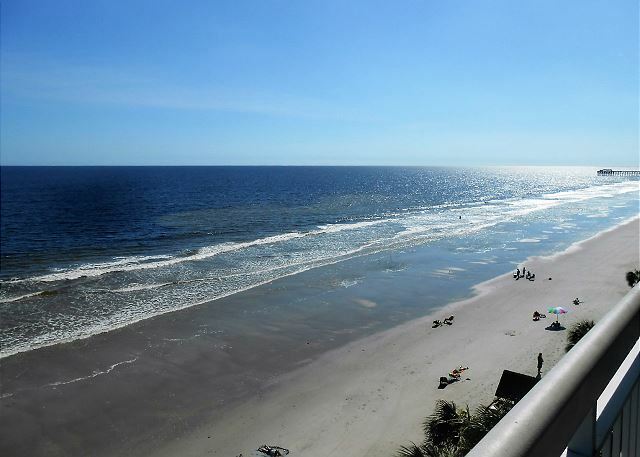 Our spacious three-bedroom condos are oceanfront with fully equipped kitchen. Each unit has a washer and dryer. 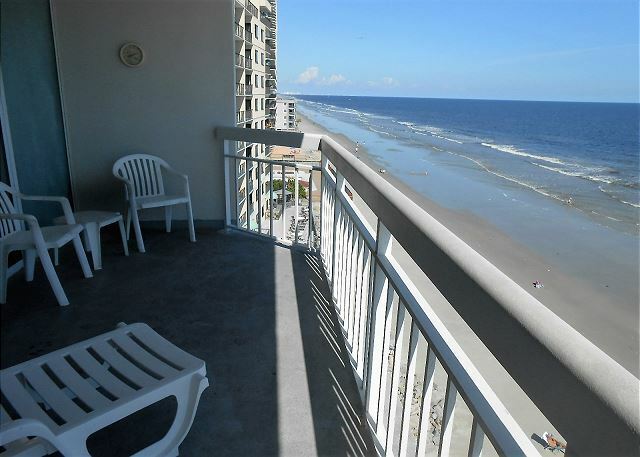 The ocean front balcony is located off the living room and master bedroom. The living room has a television and two queen size sleeper sofas. NON SMOKING UNIT. 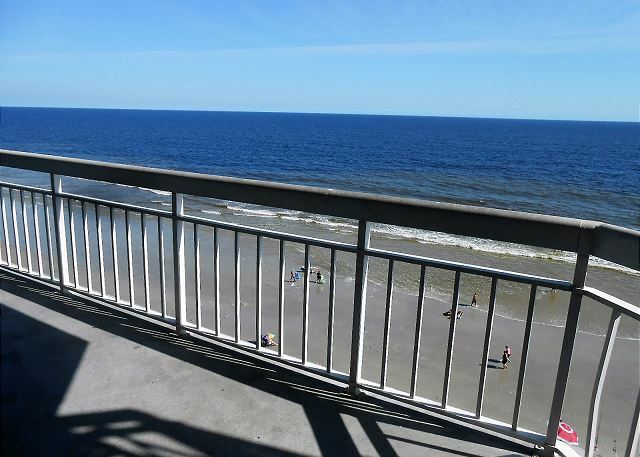 NO SMOKING ON BALCONY ALLOWED Due to limited parking space we offer ONE parking space for our one and two bedroom condos and TWO parking passes for our three bedroom condos. NO golf carts are allowed in the parking garage (for owners or guests). Due to new HOA Rules and Regulations NO Trailers of any kind allowed in/on parking garage/deck also parking garage height is 6 feet 9 inches.